Even though Ford waited 50 years to embrace independent rear suspension (IRS) for its upcoming 2015 Mustang (jab excludes SVT Cobras), IRS has been part of every LC series Dodge Challenger since its triumphant return in 2008. Before that, things were much more basic. Those first generation 1970-’74 E-body Challengers rode on parallel rear leaf springs and live axles. The ride could be choppy on rough roads, but drag racers loved the indestructible layout – especially when the Chrysler 8-3/4 or Dana 60 rear axle and R/T-spec torque-biased leaf springs were utilized. The stock Challenger IRS employs steel cage with a rigidly mounted differential unit, multiple links and articulated half-shafts. 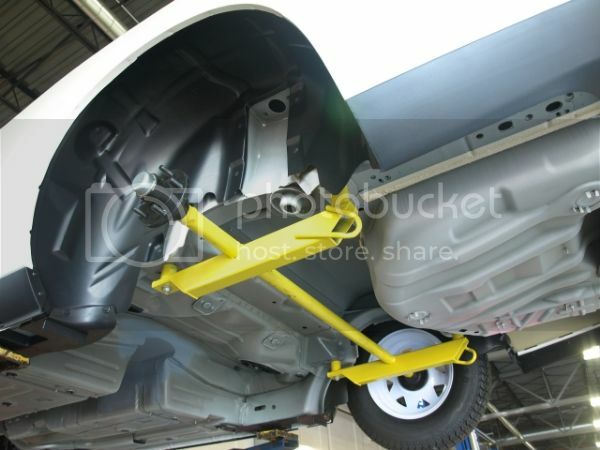 Un-sprung weight is reduced versus a live axle and the wheels remain perpendicular to the ground for ideal tire contact. It’s all good news as far as ride and handling are concerned. But on the strip, weight and occasional axle hop can be an issue. 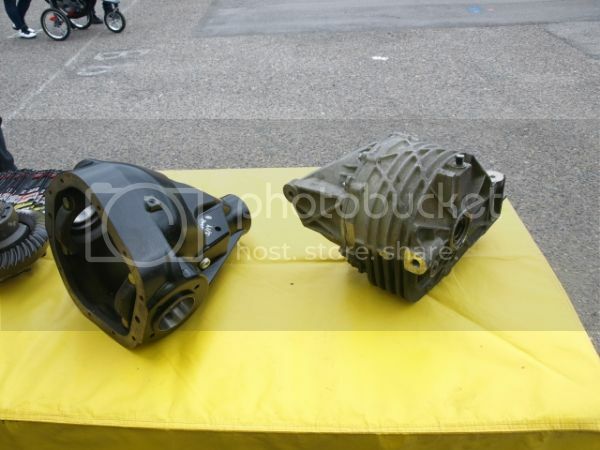 The stock cast aluminum differential housing (right) used with the 5.7 Hemi contains an 8.5-inch ring gear (8.9-inch with SRT). It’s beefy but all-out racers can step up to an aftermarket Dana 60-type unit (left) and bigger axle shafts and CV joints. The Dana was used under the original 426 Hemi Challengers and has a 9.75-inch ring gear. When the Mopar Underground released the Mopar Challenger 1320 Image Vehicle at the 2009 SEMA show, fans were blown away by the factory’s take on what a street legal LC22R Drag Pak Challenger might look like. 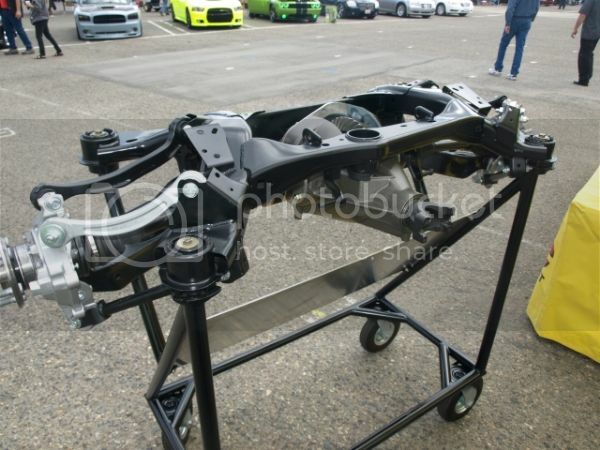 In keeping with Dodge’s long standing theme of “over-building its cars - from the rear to the front” here’s a look at the Challenger 1320’s Dynatrac Dana 60 conversion kit installed to keep pace with its 426-inch Gen III Hemi. The Dynatrac Pro60-IRS system is easily adapted to any 2008-up Challenger, as well as all LX / LD Chargers and Magnums. Speaking of Drag Pak Challengers, all 2010’s were delivered with this Spartan affair bolted temporarily to the rear suspension hard points. 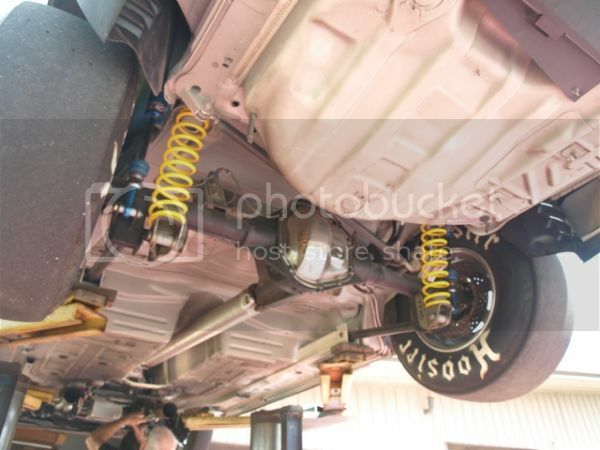 Marked “shipping bracket only, discard”, it replaced the empty stock rear suspension cage supplied under 2009 LC22R Drag Pak Challengers. 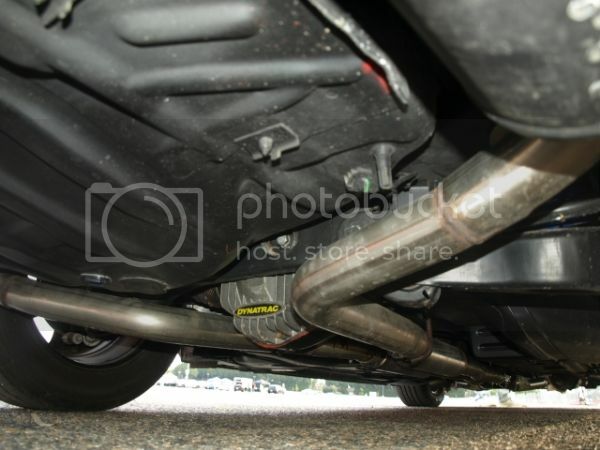 This photo shows the underside of Drag Pak #2010003, delivered new to Papa’s Dodge of New Britain, CT. Thanks for the info, Steve. Good stuff. Can you hyperground the leads to the mason jar and get even more torque and hp? Thank you for the Info Steve always a pleasure to read your articles.